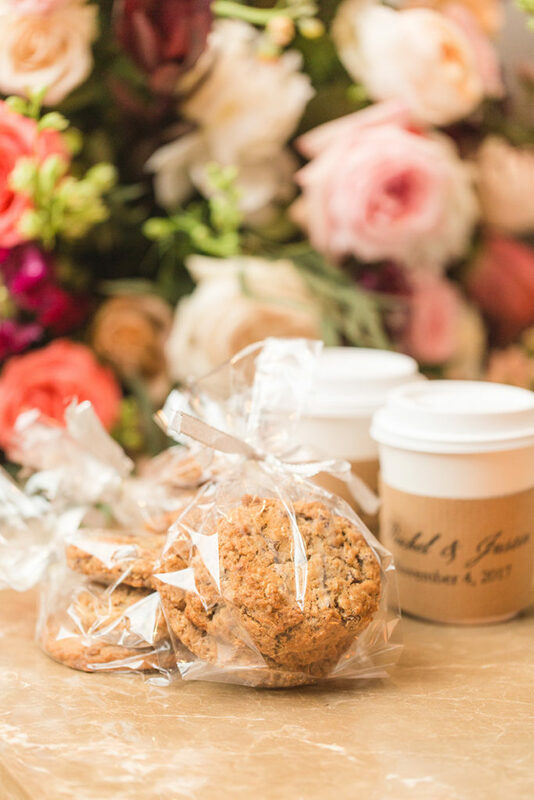 Now that we are deep into the fall with winter approaching, here are some tips on how to keep you and your guests warm during these chilly months, whether it’s a wedding, a milestone celebration, or corporate event in the Washington, DC area. The obvious way to combat the cold is to host your events exclusively indoors or if your event it’s in a tent, you can also provide heat. 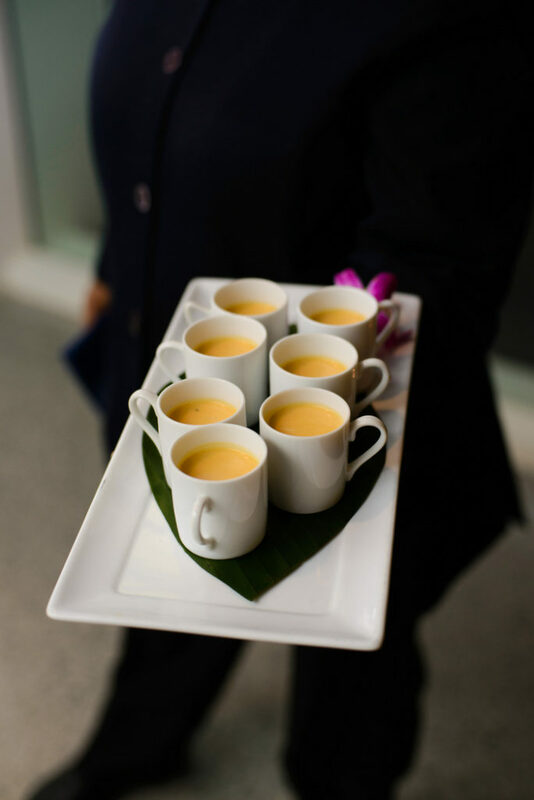 One of the first things you can do is offer your guests warm beverages as they arrive. The drinks can be self served or passed by servers. Hot cider is a popular choice. 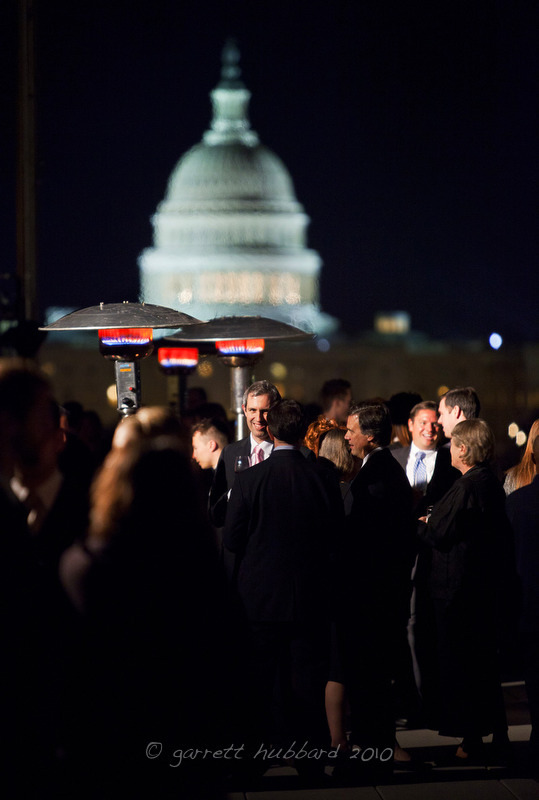 If any part of your event, whether it’s a wedding ceremony or a cocktail reception, is held outdoors, consider providing some heat source. If it’s a tolerable chill, you could provide patio heaters like in these two photographs below. 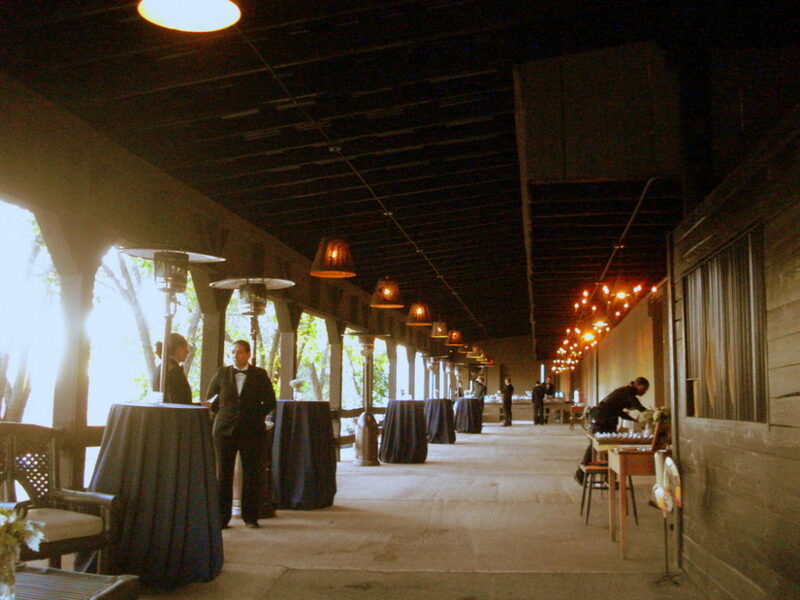 Keep in mind that guests need to stand close to the heaters in order to feel the warmth so you might need quite a few. In this wedding ceremony below, it was held in a tent in November. We installed tent walls on 3 sides and provided a heating system. Prior to the ceremony, we kept the fourth wall up to keep the heat inside the tent for as long as possible. 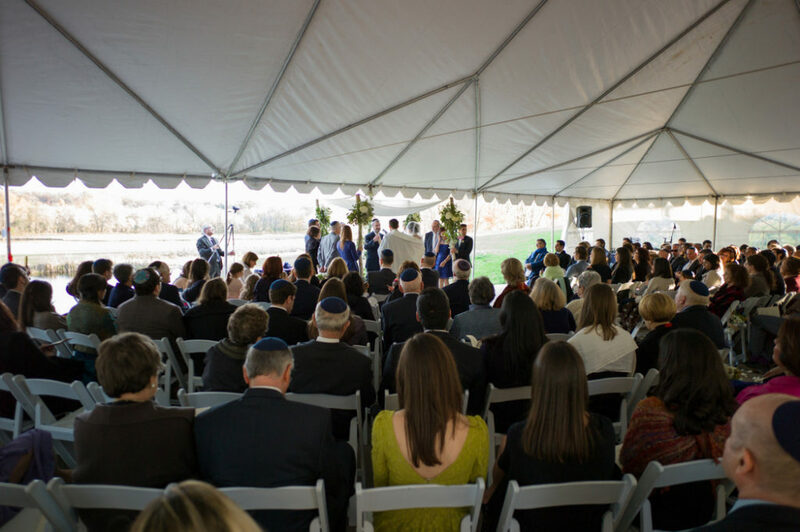 Once we began seating the guests, we opened the fourth wall to allow for a beautiful view of the landscape behind the couple during the ceremony. Also, consider an early start time for the parts of your event that will be outdoors. In the Washington, DC area, it is warmest between 2-4pm, before sunset. 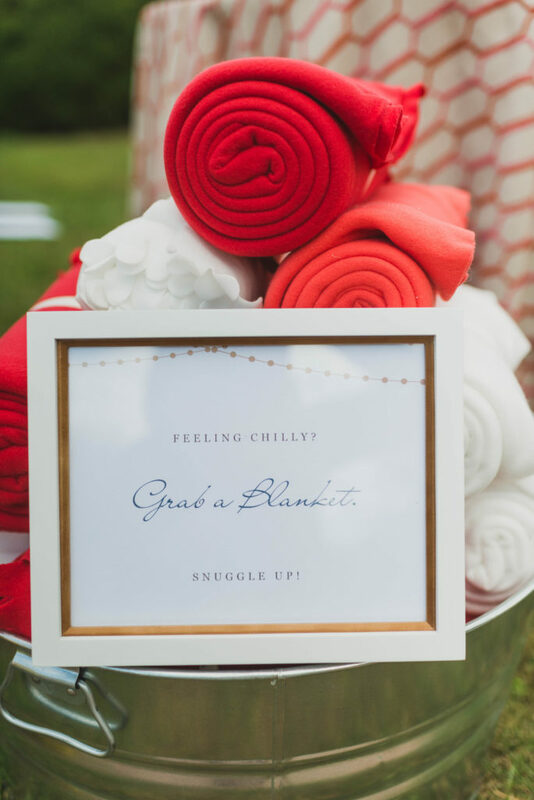 Guests were happy to have these warm blankets during an outdoor wedding ceremony and cocktail hour. 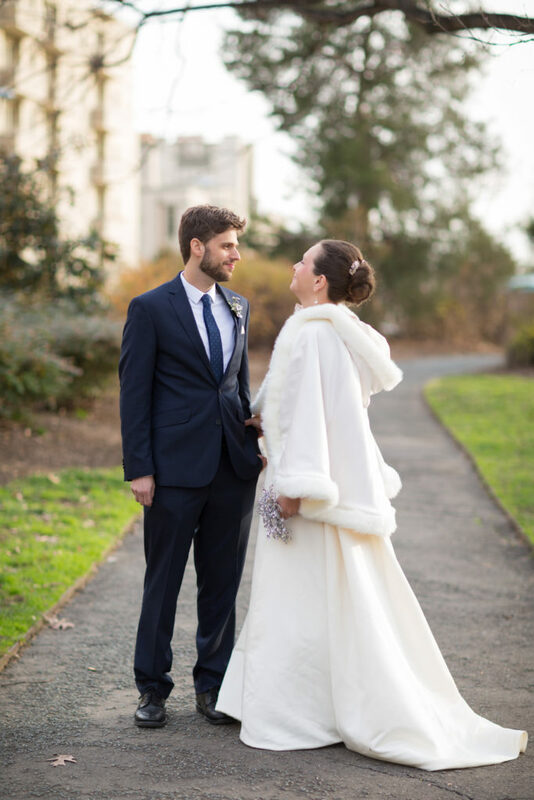 For weddings, our brides have worn some beautiful capes and wraps to keep themselves warm for outdoor photographs. I absolutely love serving warm soup at fall or winter events. You can served them as as soup shooter as a passed hors d’oeuvre, as a first course for a plated dinner, or even as an option at a food station. End with Something Warm too! 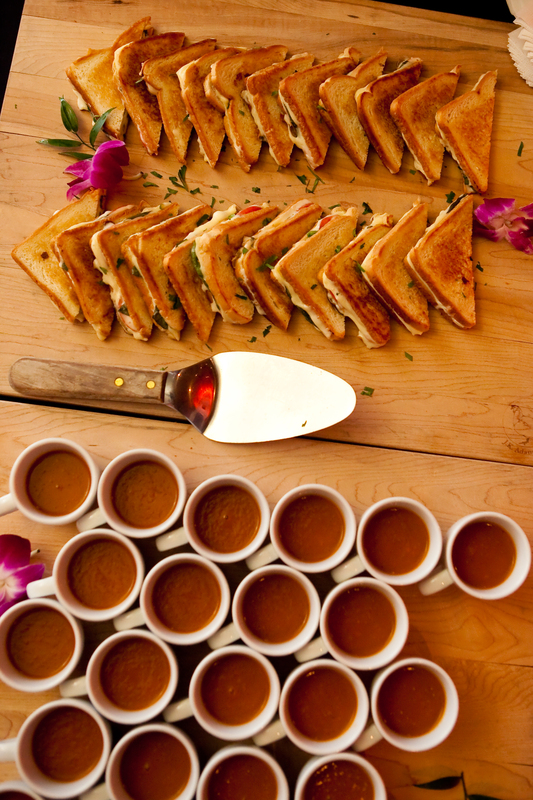 Nothing tastes better than a warm beverage as your guests depart to head back out into the cold temperatures. 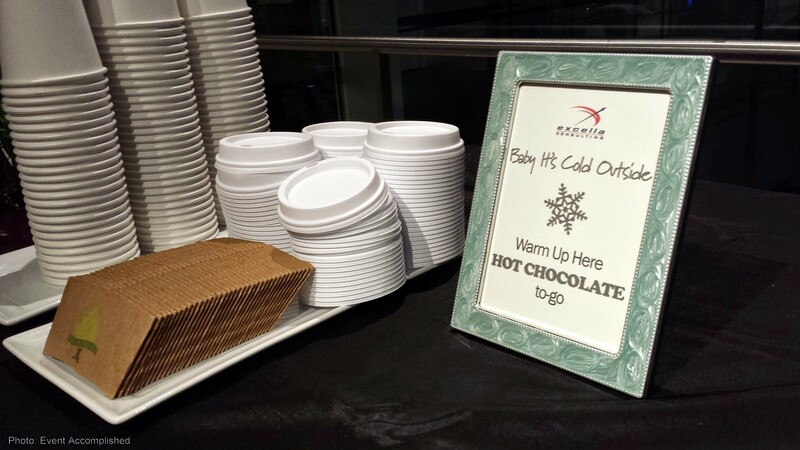 I love a hot chocolate station, which could be spiked with flavored liqueurs or not, and with different accompaniments like shaved chocolate or peppermint sticks. Your guests will love you for keeping them warm as they wait for the valet to bring their car around or to enjoy on the way home! 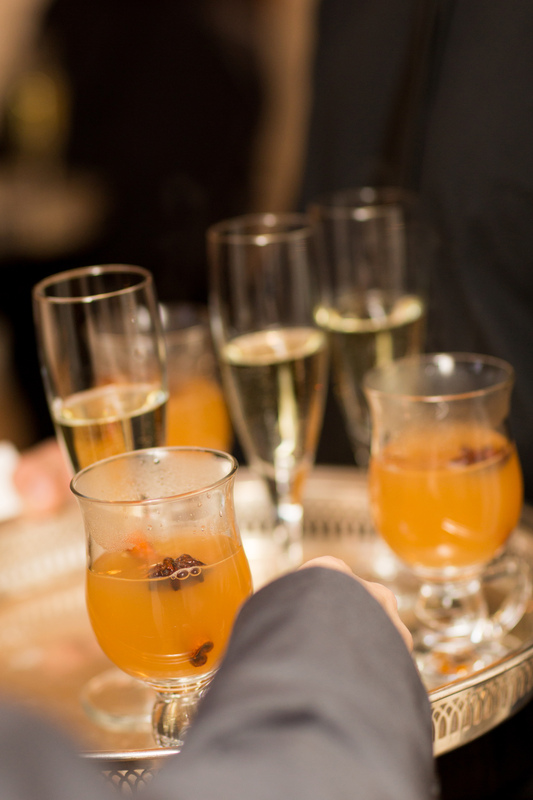 Hot cider is also a popular choice. Our last wedding of the year is in December and we just had these same conversations about keeping the guests warm with our clients. With that in mind, we thought a blog post like this would be helpful. 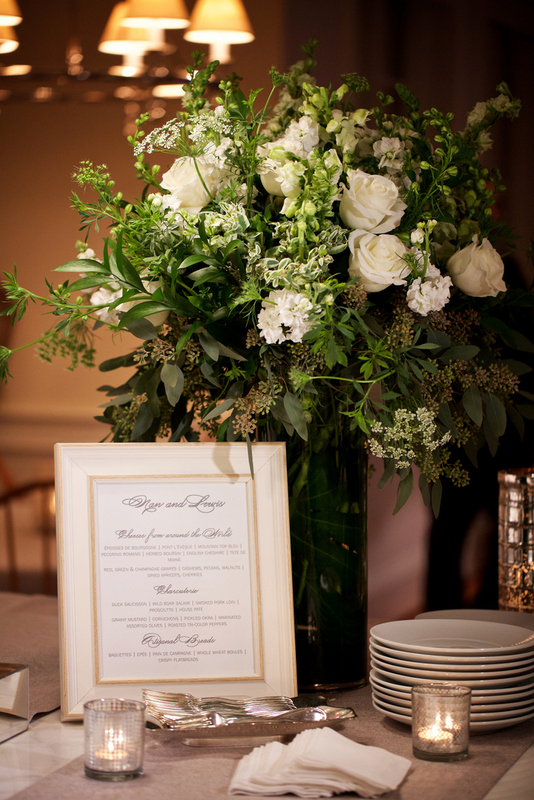 Check out our blog for more winter weddings and winter events. 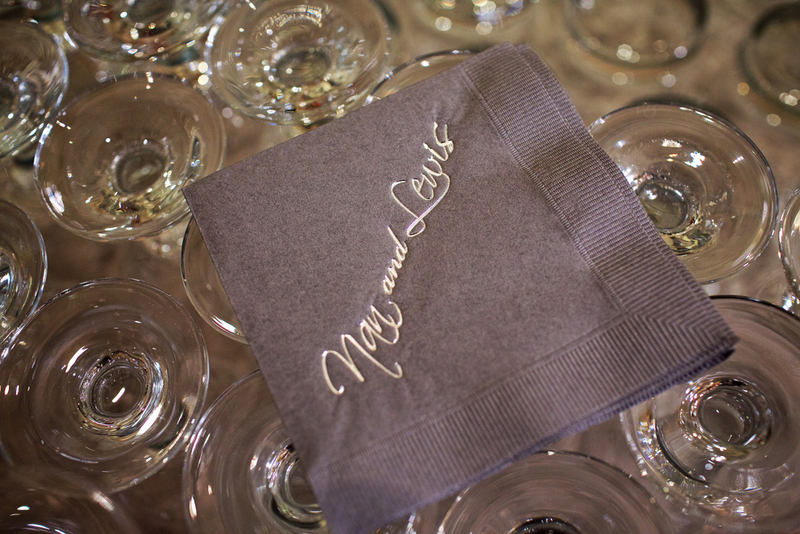 From the very beginning, our client told us that this dinner party was all about fine dining and fine wine. It was also the first time our clients have hosted about 40 guests in their classic Georgetown Washington, DC row house. How do we combine fine dining with a cocktail-style reception, balancing the casual feel of an at-home party with the classic, formal decor style of the home and of a celebratory dinner? The key was to finding the right partners. 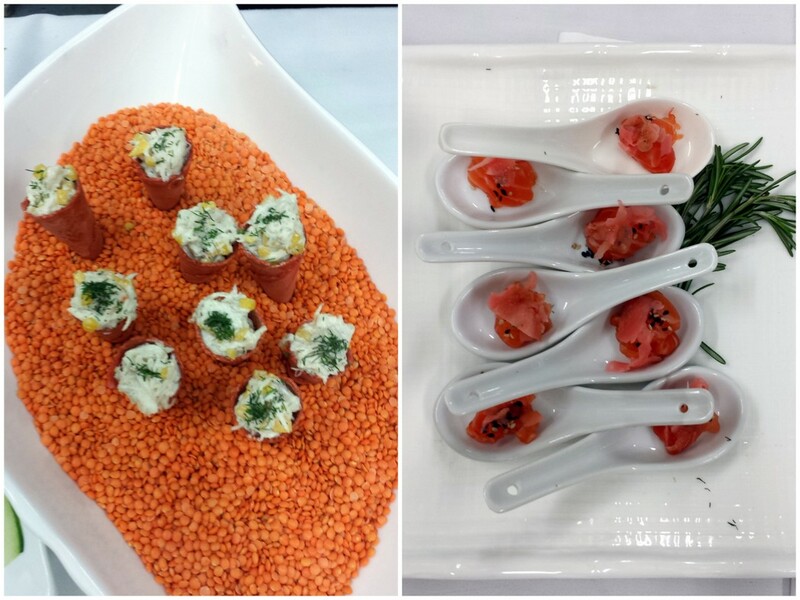 We worked with Augie Bove of Design Cuisine on serving composed small plates for the entrees, which allowed the presentation to be elegant and interesting which was important to our client. Guests could eat all the food with just a fork. 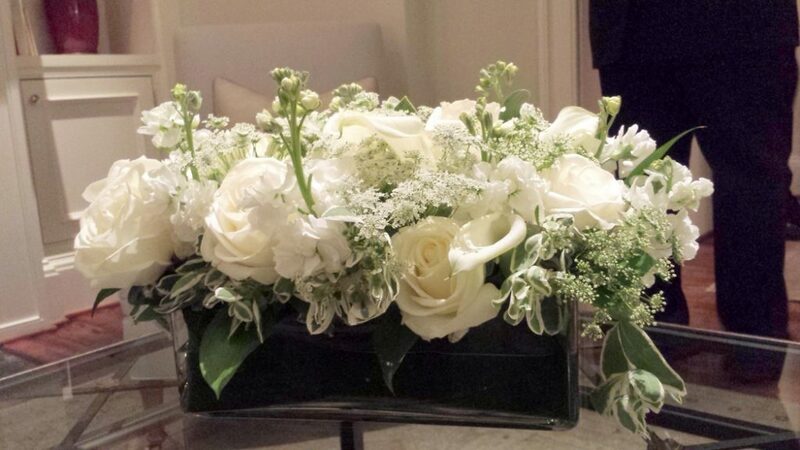 Philippa Tarrant helped design floral arrangements in green, white and grays that complemented the neutral tones of the home. Enjoy the photos. All photos by Deb Lindsey except where noted. 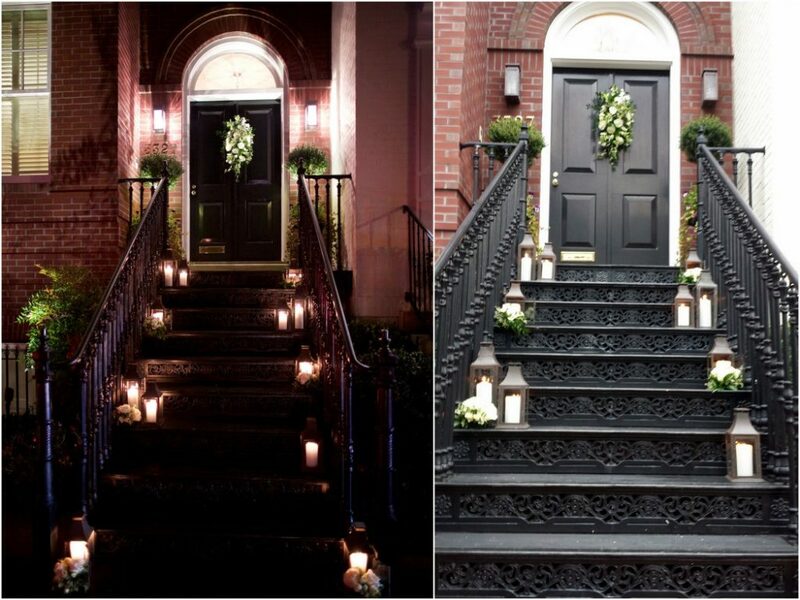 Philippa Tarrant helped us create a welcoming scene of candles inside lanterns accented with white blooms along the black iron staircase. Left photo by Deb Lindsey. Right photo by Vicky Choy. 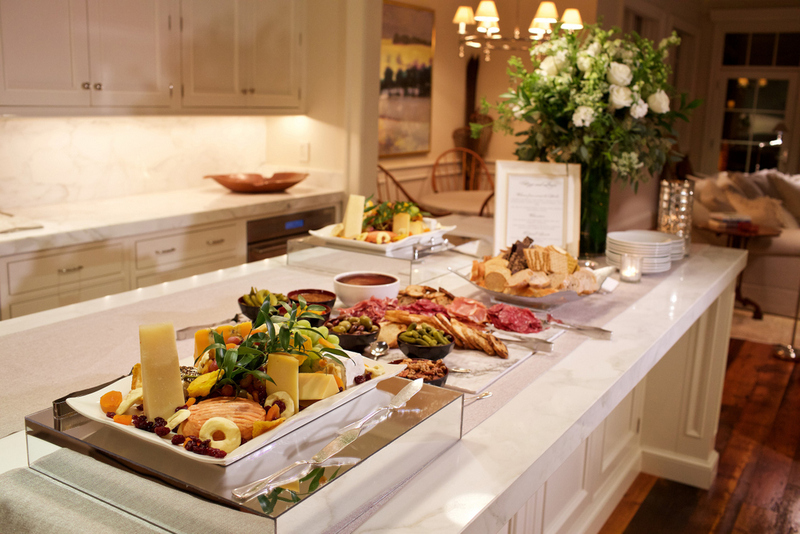 On the kitchen island, Design Cuisine prepared a cheese and charcuterie station. 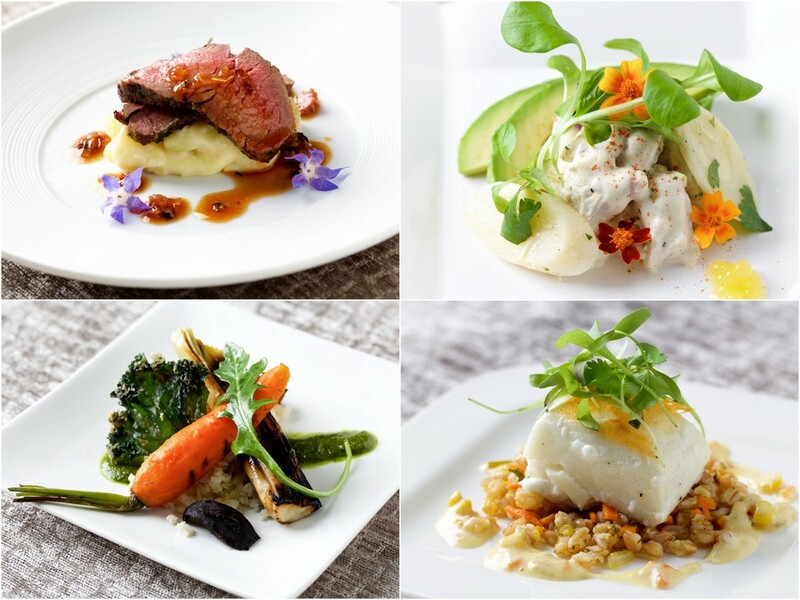 The main courses featured composed small plates (clockwise starting at top left): charcoal grilled grass fed beef tenderloin; dungeness crab and avocado salad; Alaskan Halibut; char grilled vegetables with millet and cilantro walnut pesto. 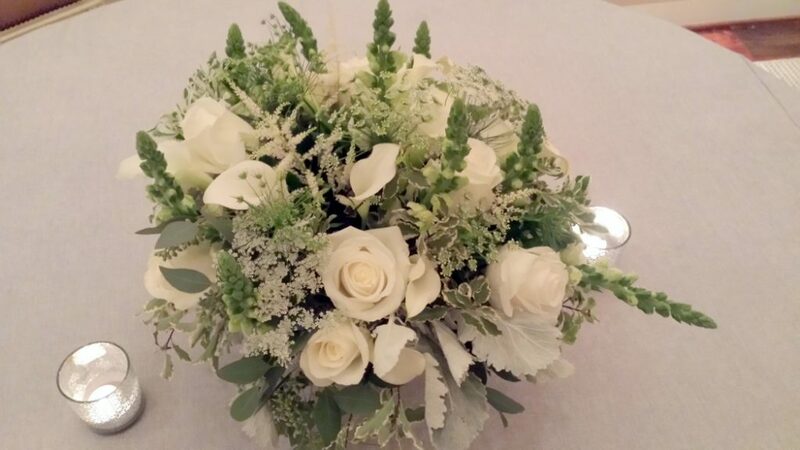 For the dining room table, a low arrangement using the soft gray green foliage with dusty miller, white roses, Queen Anne’s lace, astrantia, and snapdragons. Photo by Vicky Choy. 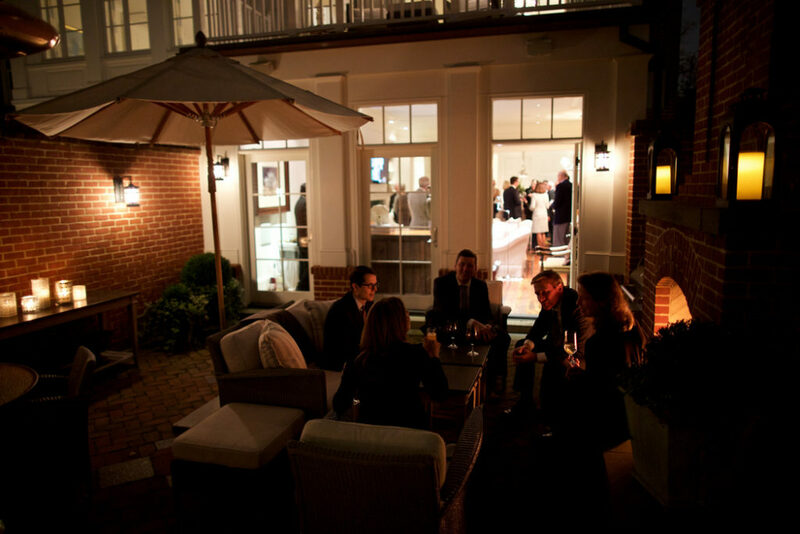 The roaring fireplace drew guests out into the courtyard despite the chilly temperatures. 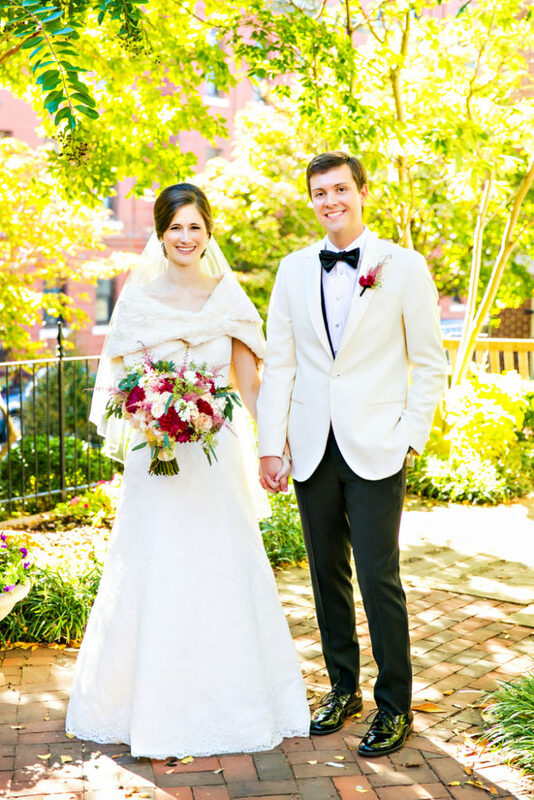 Finding the right event suppliers is half the battle and this is where working with an event planner can give you access to these Washington, DC area professionals.